Dry eye is a very common eye problem, which is most often treated with artificial tears. 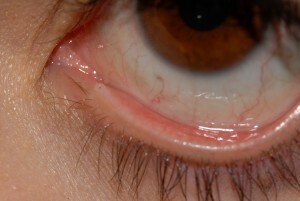 Alternative options include the use of punctal plugs which are placed in the commencement of the tear drainage system in the lower eyelids (the inferior puncta). These punctal plugs can be removed easily. They are barely visible on close inspection.They are initially used as a trial to ensure that a patient with a dry eye does not develop secondary overflow tearing. If this happens, the plugs are removed in clinic. A more permanent solution is the application of cautery to the inferior puncta under local anaesthesia, following a successful trial of punctal plugs. Recent evidence suggests that Omega 3 supplements are also very beneficial for patients with dry eyes problems – visit http://www.scopeomegahealth.co.uk/ for details of these specific supplements. To learn more about Dry Eye, please contact us at today to schedule an appointment.